Throughout the winter, I have been targeting my flanks (aka my love handles) with CoolSculpting. It has been 12 weeks since I had my final treatment, and I can’t wait to show you my results. I will be sharing my CoolSculpting® experience, including how to prepare, what to expect, and how to ensure the best results! It is mid-winter, and the combination of extreme cold and all of the holiday treats I have been baking has put a serious wrench in my attempts to workout and eat right. Bundling up in layers against our 40 degree weather has been forgiving of the weight I have gained. But with Spring around the corner, I started to get serious about those stubborn areas. Thanks to CosmetiCare, I have been targeting my flanks (aka my love handles) with CoolSculpting. It has been 12 weeks since I had my final treatment, and I can’t wait to show you my results. 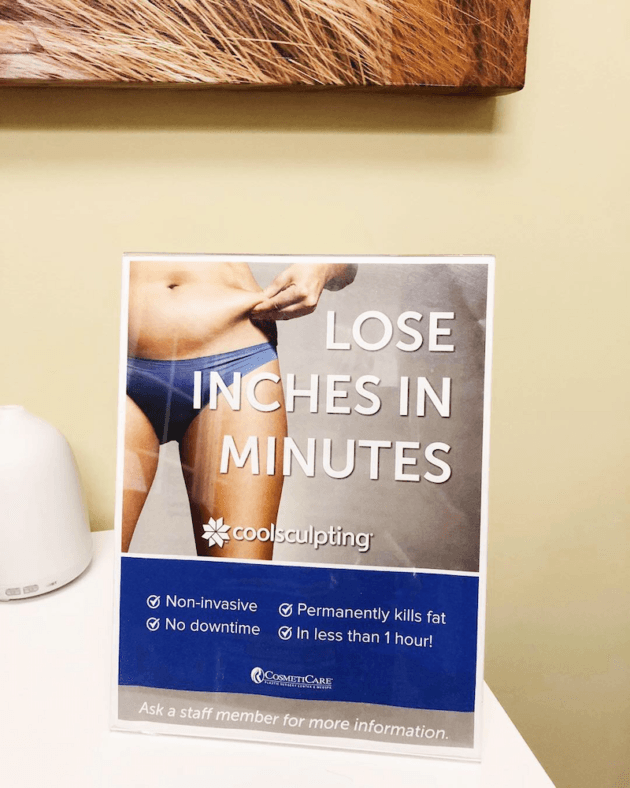 Today I thought I would share my CoolSculpting® experience, including how to prepare, what to expect, and how to ensure the best results. Because CoolSculpting is a non-surgical procedure, preparation is minimal. The clinician will discuss your goals for fat reduction including the areas to be treated. We began by taking some photos and some measurements, which were helpful in assessing post-procedure results. Next, Rosie from CosmetiCare marked the areas that she would be targeting on my flanks. The office has two machines which means I was able to complete 2 cycles (one on each flank) in 36 minutes. 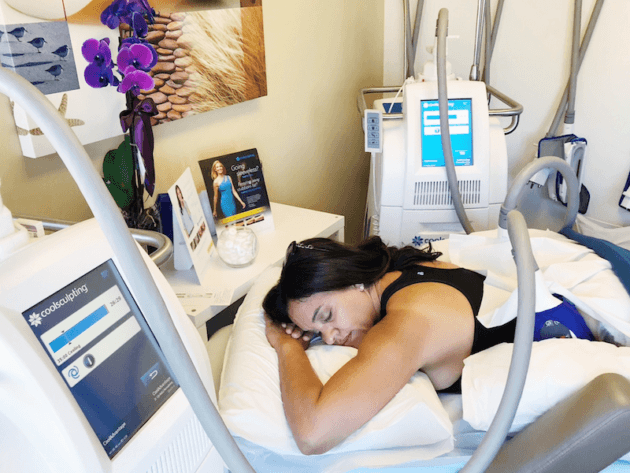 I have a very high pain tolerance, so I encourage you to take that fact into consideration as I discuss any discomfort associated with CoolSculpting. Once the gel pad and applicators are attached, the cooling process begins. It is in that initial period where the area being treated feels very cold. It is not painful and only mildly uncomfortable. That discomfort subsides quickly and the only thing I felt was what can be described as pulling or suction. Rosie explained that the area goes numb within the first 5 to 10 minutes of the treatment, which is why any discomfort goes away during the treatment. I was treated lying down on my stomach, so I found that resting during the procedure was ideal since it was difficult to read or check emails on my phone. If you are treating an area where you can sit, this might be more ideal for getting some work done or watching a movie. After the treatment was when I felt the most discomfort. Rosie massages the area immediately after the treatment to help soften it, and I found that this helped with the discomfort. As you can see, the area is red, which only lasted a few hours. I was able to go back to my regular activities that same day. In the days following my procedure, the area treated was sore but the discomfort did not limit my ability to do everything including exercise. Rosie also mentioned that I could take Tylenol or Advil if the discomfort persisted, and I found that this was helpful. I think it is important to note that I felt more discomfort with my next 2 CoolSculpting cycles. Rosie explained that this is normal as the fat cells diminish. The discomfort was still completely manageable with over-the-counter pain medications. 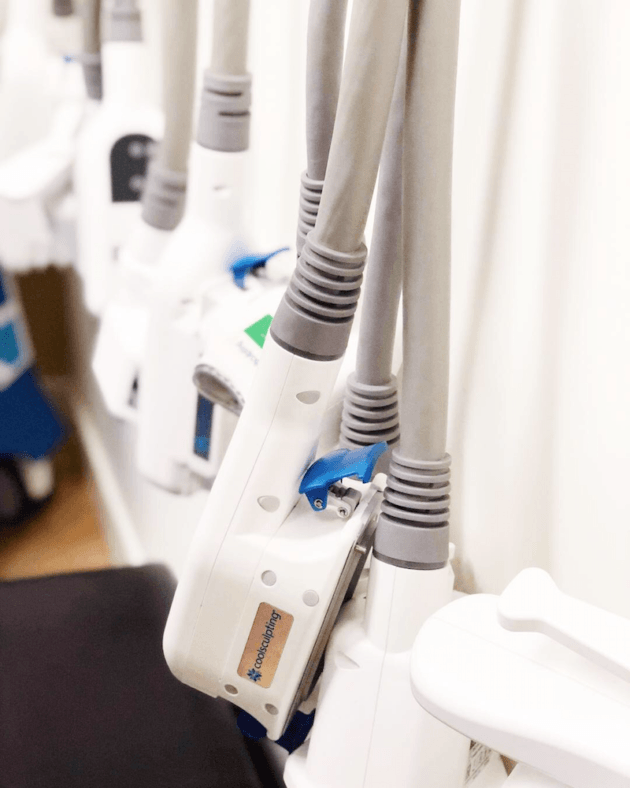 During CoolSculpting, it is possible to feel any of the following: pulling, tugging, mild pinching, intense cold, tingling, stinging, aching, and cramping at the treatment site. After the procedure, the area may look red and swollen and you may experience blanching, bruising, firmness, tingling, stinging, tenderness, cramping, aching, itching, and/or skin sensitivity. All of these side effects are temporary and typically resolve within days of the treatment. One of the many reasons I am a huge proponent of this non-surgical fat reduction procedure is the fact that there is no downtime. You can return to work or your normal activities right after your CoolSculpting treatment. If you have multiple procedures scheduled, be sure to ask how long you should wait before treating the area again. This can be anywhere from 4-6 weeks. Talk to a clinician about whether or not subsequent treatments are recommended to achieve optimal results. CoolSculpting is not a weight loss procedure, so maintaining a healthy weight through diet and exercise is crucial. If you do gain weight, it will likely be distributed throughout your body, not just in treated areas. It is recommended that you be close to your ideal weight before undergoing CoolSculpting. Unlike surgical methods of fat reduction like Liposuction, it can take 4 weeks before noticeable results are achieved. The most dramatic results can typically be seen after 2 months. The body continues to flush out the fat cells treated for 4 to 6 months after a CoolSculpting treatment. 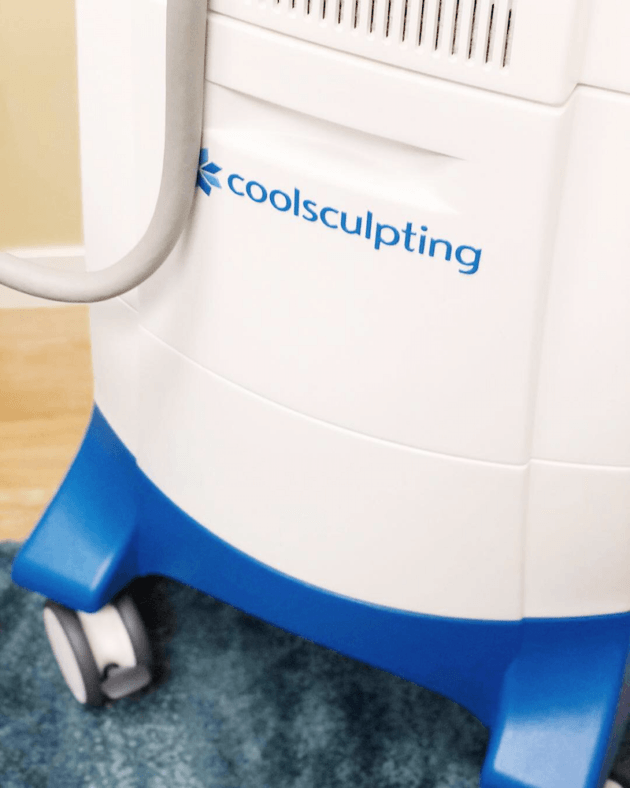 Are you considering CoolSculpting? Save 10% off CoolSculpting at CosmetiCare by using the code Caryn100.